Friday night's homecoming football game marked a milestone for Middletown residents to show they are coming back strong. The game between Middletown and Clear Lake High was previously postponed due to the deadly Valley Fire, which ripped through the area, killing four people and destroying more than 1,950 structures. "I had tears in my eyes," Middletown-resident Caitlyn Flynn said of Friday's homecoming. "It warms your heart. Everyone is so close in this community that it brings us all much closer to have this homecoming." As part of the game, those in attendance took a moment to cheer and give thanks to the first responders. The community also donated food for the game. Middletown won 12-6. More than two weeks after the Valley Fire began, many students living in Middletown are finally headed back to class Monday. "It impacted us a lot," said Chelsea Tom, a Middletown High student. "It's nice that we've been able to come together." 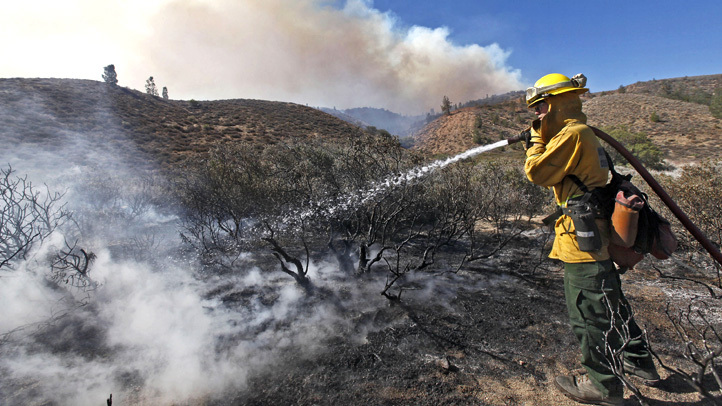 The Valley Fire started Sept. 12, and charred 118 square miles. The cause remains under investigation.